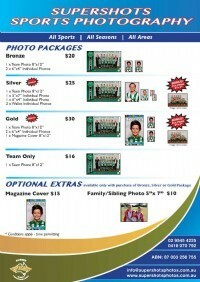 This season photos will be scheduled around each team's training time. Every effort has been made to schedule times as close as possible to rostered training times. Not an easy task with 91 teams - so thank you for your understanding! Some time slots have two teams scheduled - these are highlighted in yellow. This is to accommodate those coaches training two teams on the same evening and to ensure all teams are catered for. Envelopes are available for pick up at the club house any time over the weekend. Some teams have picked up their envelopes, please note, your photo time may have changed from the one on your envelope. Please check the timetable as this is the correct time. Sibling photos can be accommodated in the free time slots (preferably Monday or Friday). Please remember to bring your team shirts! Please advise your team of your scheduled photo time, as per the timetable attached.